We’ll share tips, activities and book suggestions to help students succeed in school. 88.7% Columbus City School (CCS) third graders have moved on to fourth grade and about 470 students have not. Originally, 1,200 kids didn’t pass the OAA test. This improvement shows the hard work of CCS and community partners. View your district’s passage rate here. We’re working with the 10 school districts we serve to make sure we have the programs and resources students and parents need for help with school success. 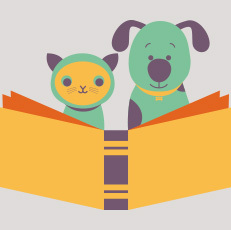 Our Reading Buddies program provides one-on-one reading practice after school. Stop in any location to learn more about the program and everything the library has to offer students and parents. 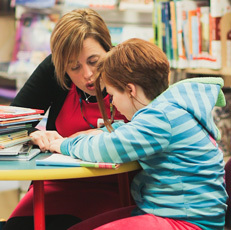 Columbus City Schools has a reading Buddies program during the school day. Contact Columbus City Schools for information about their program. Ask a staff member for more information. Borrow Teacher Collections and other materials for your classroom without using your personal library card. We’ll create a teacher collection for your classroom. Learn how. We help K-12 students build skills to succeed to and through college. 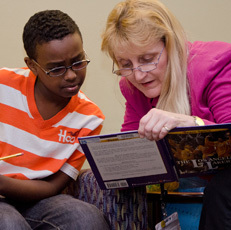 We help K-3 students with one-on-one reading practice after school.